"Collective phenomena in Complex Social and Engineering Systems"
I will present an overview of my research in the past decade on large scale optimization for machine learning and collective behavior in networked, natural, engineering, and social systems. These collective phenomena include social aggregation phenomena as well as emergence of consensus, swarming, and synchronization in complex network of interacting dynamic systems such as mobile robots and sensors. A common underlying theme in this line of study is understanding how a desired global behavior can emerge from purely local interactions. The evolution of these ideas into social systems has led to development of a new theory of collective decision making among people and organizations. Examples include participation decisions in uprisings, social cascades, investment decisions in public goods, and decision making in large organizations. I will investigate distributed strategies for information aggregation, social learning and detection problems in networked systems where heterogeneous agents with different observations (with varying quality and precision) coordinate to learn a true state (e.g., finding aggregate statistics or detecting faults and failure modes in spatially distributed wireless sensor networks, or deciding suitability of a political candidate, quality of a product, and forming opinions on social issues of the day in social networks) using a stream of private observations and interaction with neighboring agents. I will end the talk with a new vision for research and graduate education at the intersection of information and decision systems, data science and social sciences. 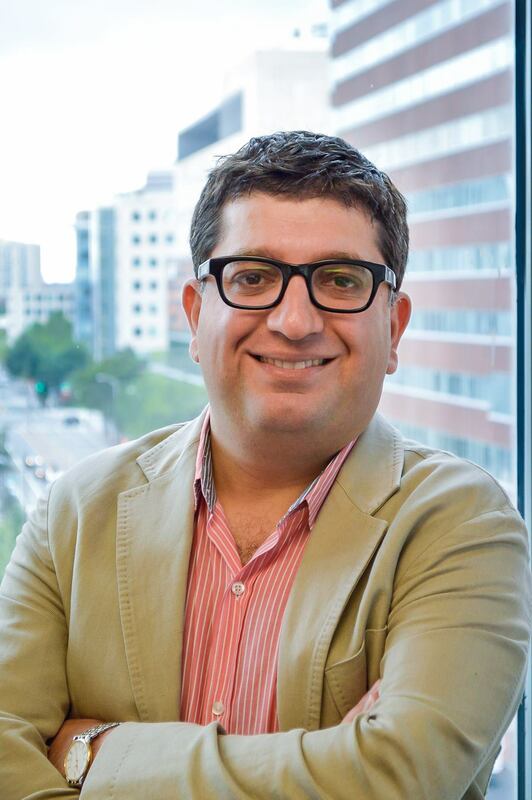 Ali Jadbabaie is the JR East Professor of Engineering and Associate Director of the Institute for Data, Systems and Society at MIT, where he is a faculty member of the Department of Civil and Environmental Engineering and a principal investigator in the Laboratory for Information and Decision Systems (LIDS). He is the director of the Sociotechnical Systems Research Center. Professor Jadbabaie received his Bachelors from Sharif University of Technology in Tehran, Iran, a Master’s degree in electrical and computer engineering from the University of New Mexico, and his PhD in control and dynamical systems from the California Institute of Technology. He was a postdoctoral scholar at Yale University before joining the faculty at Penn in July 2002. Prior to joining MIT faculty, he was the Alfred Fitler Moore Professor in Network Science and held secondary appointments in computer and information science and operations, information and decisions in the Wharton School. He was the inaugural editor-in-chief of IEEE Transactions on Network Science and Engineering, a new interdisciplinary journal sponsored by several IEEE societies. He is a recipient of a National Science Foundation Career Award, an Office of Naval Research Young Investigator Award, the O. Hugo Schuck Best Paper Award from the American Automatic Control Council, and the George S. Axelby Best Paper Award from the IEEE Control Systems Society. His students have been winners and finalists of student best paper awards at various conferences, including IEEE Conferences on Decision and Control in 2009 and 2017. He is an IEEE fellow and the recipient of the 2016 Vannevar Bush Fellowship (US Department of Defense’s equivalent of a MacArthur grant) from the office of Secretary of Defense of the United States. His current research interests include the interplay of dynamic systems and networks with specific emphasis on multi-agent coordination and control, distributed optimization, network science, and network economics.